After months of reports and speculation, Apple has today lowered its revenue guidance for the previous quarter citing “fewer iPhone upgrades” than initially anticipated. In a letter to investors published earlier today, Tim Cook announced that Apple now expects revenue of approximatively $84 billion for the fourth quarter of 2018 (fiscal Q1 2019). Previously, the Cupertino giant estimated earnings of between $89 billion and $93 billion for the period. As expected, the weaker performance isn't down to just one factor, with the CEO citing a number of them that negatively impacted the company throughout the quarter. Firstly, the release of the iPhone XS and iPhone XS Max during Q3 2018 creates “a difficult compare” between Q4 2018 and Q4 2017, which was when the iPhone X was released. Alongside this, the strong US dollar is said to have further reduced the company’s earnings. Moving on, the CEO also cited “supply constraints.” According to the letter, Apple had an “unprecedented number of new products” such as the Apple Watch Series 4 and the new iPad Pro models that were constrained throughout the entire quarter. Additionally, the new MacBook Air was affected, as were 2016’s AirPods. The biggest impact of all, though, came from “economic weakness” in emerging markets, with Greater China proving to be the biggest disappointment. Oddly enough, the company failed to make any mention of India, though. As anticipated, macroeconomic challenges in these markets played a major role. However, a number of other circumstances were also listed, these being fewer carrier subsidies, price increases related to the “strength” of the US dollar, and consumers taking advantage of the cheaper iPhone battery replacements that were offered throughout 2018. On a slightly more positive note, categories outside of iPhone grew a combined 19 percent throughout the fourth quarter of 2018, with Services and Wearables performing exceptionally well. Unfortunately for Apple, and rather unsurprisingly, these last few positives didn’t impress investors enough. As of the time of writing, the company’s stock has fallen 7 percent to around $146 per share. At its peak in October, the stock was valued at $232 per share. Never trust the analysts at Cowen to make any accurate prediction. Earlier this year they called betting on Apple a "no-brainer" while every other analyst was saying there is signs of a downfall. By the way, one thing this article failed to mention this important piece of information: Apple has not lowered guidance for a current quarter in more than 15 years. That is very significant and could spell the end for Tim Cook. They're expecting a 7% drop in revenue in their most valuable quarter. If the rest of the industry does not sink equivalently, they will see a serious hit to their stock. The stock market is already on its way down to a major correction and any further weakness in the tech sector could make the upcoming recession even worse. Look the iPhone was 7 was released for $650 USD. The iPhone 8 was released for $700, and the iPhone XR is for $750, and it's not worth the upgrade. Plus the price increases never matched the cost of living increases. The other high priced iPhones starting with the X was a $1000. Not too many people are going to spend another $1000 for minor upgrade to the XS this year. What was Apple thinking. The other thing that is sky rocketed is Apple repair costs to the point it's a joke to repair, especially if you didn't pay Apples extortion insurance (Apple Care). The iPhone is still a phenomenon and will be studied for years to come in business schools. Unfortunately Apple's business model has relied on it for too long and that will also be studied extensively as an example of a one-trick pony. The entry point into the Apple ecosystem has been the iPhone for most consumers and services within that ecosystem are reliant on the "handcuffs" of the iPhone. For Apple to say they're diversifying into services and then exploit their customers with extortionate pricing for unappealing new iphones is short-sighted at best. Tim Cook and the i8 (iFools) on here can spin it any way they like but there are simply too many excellent and cheaper phones to choose from these days. I expect Apple to settle into a particular (still very high) sales figure and pretty much stay there for a long time unless they come up with something innovative. Unfortunately that's unlikely to happen given their track record since Steve Jobs died. The problem is 70% of Apples business is iPhone. If that’s starts dieing by each quarter then the company is in big trouble because their other products are often linked (most people who buy their watches or wireless earbuds are iPhone customers for now). Also means less people buying content, Apple Music subscriptions or Fortnite in app purchases on iTunes etc. The other reason why Wall Street isn’t happy is because Apple have always been able to squash the low sales rumours on the past. But this time they’ve turned out to be true. 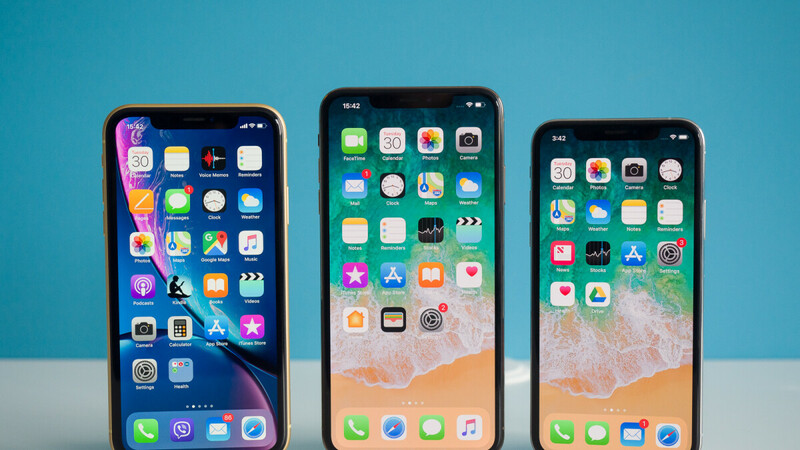 Additionally, the WiFi issue with Xs/Max is now global, and has been exacerbated with iOS12.1.2: Apple Warned iPhones Have A Serious Problemhttps://www.forbes.com/sites/gordonkelly/2019/01/01/apple-iphone-xs-max-xr-upgrade-price-cost-sale-new-iphone-8/ Apple iOS 12.1.2 Is Breaking Some Cellular Data https://www.forbes.com/sites/gordonkelly/2018/12/20/apple-ios-12-1-2-release-iphone-xs-max-xr-problem-4g-cellular-data-not-working/#5e2ef6ab344b Sascha Segan of PCMag--sometimes used on this site--and i agre...the hardware is progressing too fast for iOS PLUS there are way too many CPUs that iOS needs to maintain. five year support in the smartphone business is doomed. 9billion Short is not a joke. 3 reasons...1. Their products are built so well and supported for up to 5 years with OS updates. Why upgrade every year? 2. Pricing strategy by increasing the ASP has backfired. 3. The impact of China has placed a global growth impact. 1) Their products are built subpar and last because people using facebook and web surfing really didn't need much to begin with but bought devices for hundreds of dollars to show off. Their primary planned obsolescence strategy was found out and reversed so that probably is eating into the margins as idiots who paid hundreds realize that there really isn't much to upgrade for when it comes to iPhones. 2) Pricing the phone higher backfired because all the poor people (usually iFans) who think themselves rich after buying an expensive phone on contract finally hit a price they can't afford on contract. Increasing margins is also failing because all the little companies apple could run over are dead and now picking a fight with QC has lead to getting kicked in the nuts. 3) I don't know what that last sentence means. 1. Your statement does not support your reasons for poor build quality, but suggests more of a buying preference. 2. All poor people...LOL! If you start with a general statement like this, why would anyone believe you. Last I checked, Samsung S9, S9+ and Note are near and over $1000. What makes Apple any different in terms of pricing their products how they want? 'Their products are built so well'. Are you kidding me? If they are built so well why do they bend so easy and have so many bugs? This was for" Phullofphil" So they market cap is at 800 that's crazy high thier stock should be way lower. Please provide a link to the article where phoneArena cited what you say. https://www.phonearena.com/news/Analyst-sees-Apple-Services-highly-valued-by-2020_id110513 Check the comments where I told them it ain't going to happend. Thanks, but upon reading, it's clear that it is just a report on what one particular analyst(Timothy O'Shea) is saying. Nowhere in that article is Alan or PA making any of their own predictions or investment recommendations. But they did put that out there that's almost as good saying this is what we think. Somebody might act on this and buy. I think that's what they were hoping for. And yet again I says here is answer to apple and thier stupid face Id crap and thier overprice phones , and thier nonsense multi-cult commercial or ads , their ads is why I dont buy iPhones. The market has spoken, you lose. Apple can part fix this by lowering the price. They wanted to see just how far they can push it and the world have told them it’s too far. I expect a quiet price drop within the next 3 months. It's not that China wanted weak sales. Apple created it by pricing their cheapest phone above $1000 outside the USA. China simply can't afford one. And no one what's to sell their kidneys for it anymore either. Samsung sales on the S and Note, also dropped after prices went up. What are they going up for? The Note 9 doesn't do nothing rhe Note 7 didn't so at $850, which is as high as they should have went. And since the iPhone dies evenwaa it should be cheaper too. Huawei is winning solely on price. They released flagship quality devices, that are specs slightly better than and iPhone, but slightly lower than a S or Note and priced it right and not they are outselling Apple and gunning doe Samsung. They both learned the hard way about greed. But Samsung has models they can complete with and Apple doesn't and without the 3 largest markets in the world outside the US, Apple is done. No China, no India and soon no Europe. Huawei is already selling 5 times the phones in the Philippines where Apple sold roughly 1M phones in a country that has 150M citizens. The bigger they are, the louder the sound when they fall. Unless Apple drops prices back to the 7 Plis price of $899 or less, even monthly payments won't save them. Midan, Apple is about to lose $9BILLION. That isn't chimp change bruh. How much you wanna bet Samsung won't be losing that much. Haha. Cheerleading that. This is why you can't just cheerlwad sales. They all reach a peak and then drop like rocks. I dont care what they sell, just sell me what I wanna buy and I will buy it at whatever the price. But its gotta be worth it. Because if I can get better for less or equal for less, less is more and thus is worth my money. “Economic weakness in emerging markets”, my a**. 1. Last year people purchased the iPhone X because people were sick of the same design since 3 years. 2. There is very little reason to upgrade to XS from X. 3. People do not want to spend $1000 on phones when their $350 iPhone 7 is running amazingly well. What Apple is trying to paint might be true in some sense but their main reason for not getting customers is lack of innovation and penny pinching. Ohh and the XR is a disgrace for a $750 phone. - iPhone 7 user and Apple well wisher here. Apple is selling fewer iPhones each quarter since the release of IPhone 6S... that is not good news, companies needs to grow to maintain their leadership, even now Huawei is selling more smartphones than Apple ! Huawei !!! Do you remember Nokia? They were the absolute dominant company in the mobile space, and their sales were declining each quarter until they disappeared!! Nokia killed themselves with 3 bad moves. 1 - they didnt get Meego up fast enough and Symbian has already lost to iOS. ANDROID and even BlackBerry. 2 - they went with Elop and Microsoft 3 - they should have adopted Android and didnt. Innovation wasn't the issue. They simply made really bad moves. Apple is worse. The original iPhone design was used 3 models, then the 4 was used for the 4S. Basically the 5 only larger...along with the 5C and 5S. Then the 6 and 7 and 8nwere basically all the same and now the X, XS and the next model will be the same. Yet they all rode Samsung saying the S7, S8 and S9 are all identical. No they aren't. They have enough change to tell them apart. You can't tell a 6, 6S, 7 or 8 from the front unless you use a different color. Apple keeps taking stuff away and raising cost. No FPS, no Jack, no headphome dongle, lowered the resolution. Same old boring OS. The setting is a mess because everything is their. The OS has no new capabilities beyond gimmicky garbage like Bokeh and Animoji. And yes both are just as stupid on the GALAXY S/Note 9. But at least Samsung gave something. They double the storage, they gave a dual aperture camera, bigger display, bigger battery, premium headphones, fast charger, higher quality accessories, free gifts and more features and they onmy increased the price over last year by $60. That's right...the Note 8 was $930 vs 9 at $999. Apple jumped from $899, to $999 and gave you nothing extra. They took the dongle. A 6.1" display with a sun 3000mah battery? How long has Samsung had 3000+ size batteries? Since the frikking Note 3. But the fans only cheerlwad sales and profit. Well both of those are going down so what you gonna cheerlwad now.